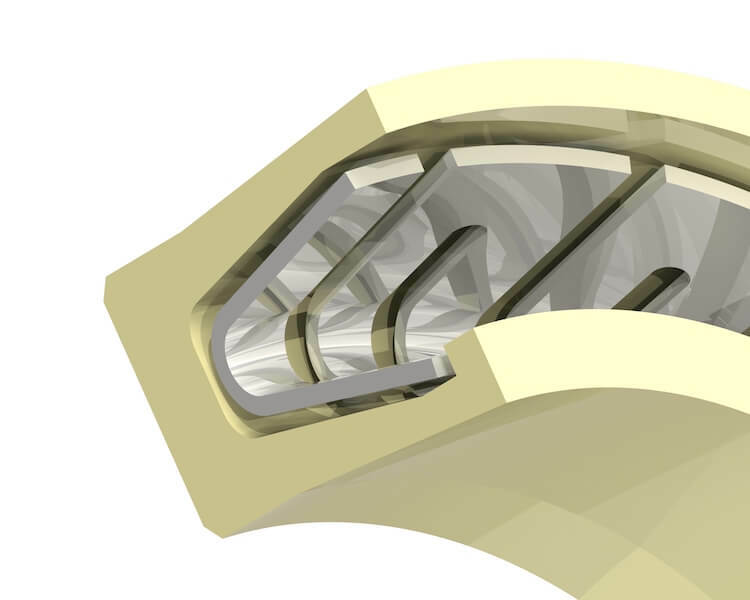 When looking into an energized seal for your needs, there are 3 configurations of spring to consider: Cantilever “V” Springs, Helical Wound Springs, and Canted Coil Seals. Each spring type has a unique advantage depending on a certain set of conditions. Below are the advantages of each energized spring type and their ideal use. Why do I Need an Energized Seal? The primary reason to consider a metal spring energizer is to overcome the limitations of the polymer seal jacket. Polymers offer the compliancy necessary to create a seal, but in order to maintain sealing over a broad range of application parameters, a method of consistent loading is required. 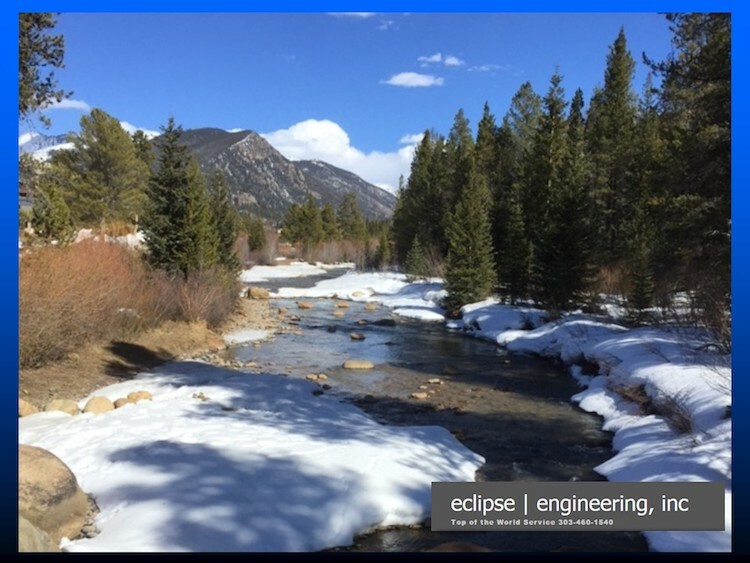 Eclipse spring energizers fulfill these requirements by providing energy to overcome varying temperatures, pressures and hardware tolerances. A Cantilever “V” Springs is a commonly specified spring type. This “V” shaped spring offers very predictable loading, which makes it great for general use. With a linear load curve and excellent deflection range, Eclipse Cantilever Springs are a highly versatile product. The shape of the spring concentrates load on the front of the seal, which makes this design suitable for use as environmental excluders and for applications requiring scraping of viscous media. Commonly used for reciprocating applications, particularly for excluders (wipers/scrapers) because of their prominent lip that creates a sharp edge. Useful for keeping abrasive material like mud off shafts in applications such as bicycle suspension/shock absorbers. Static conditions where higher deflection is needed to compensate for wide gland tolerance, expansion and contraction, or lift-off due to high pressure. For gases and fluids – extending to demanding cryogenic environments (extremely low temperatures). Suitable for down hole and drilling applications and where harsh Hydrogen Sulfide gas is present. In these applications, the nickel cobalt alloy Elgiloy is often specified for corrosion resistance and NACE approval. Helical springs are constructed of wire ribbon wound into a circular helical shape. 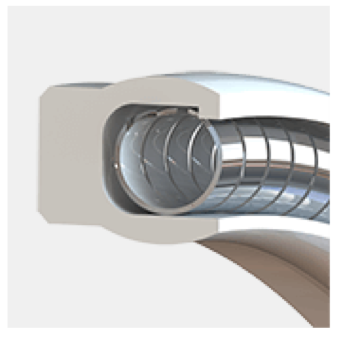 This helical shape spring affords a relatively high load versus deflection range resulting in a seal product that can provide very tight sealing. 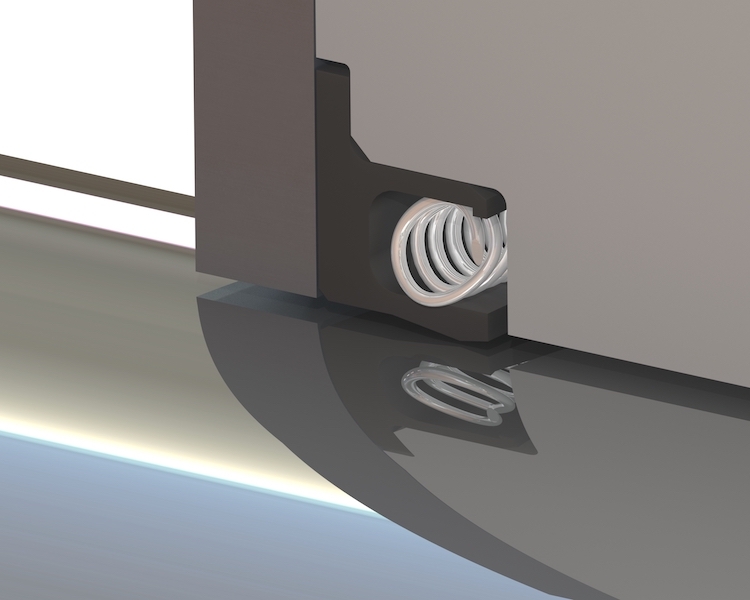 As a highly loaded product, Helical Spring Seals should be considered when dynamics are very slow or static. Excellent for slow movement or static applications. Can handle extreme temperatures such as cryogenic storage chambers. 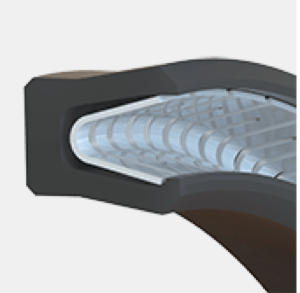 High pressure situations such as crush gaskets or pipe flanges where high bolt loading is present allowing the seal jacket to embed into surface imperfections. 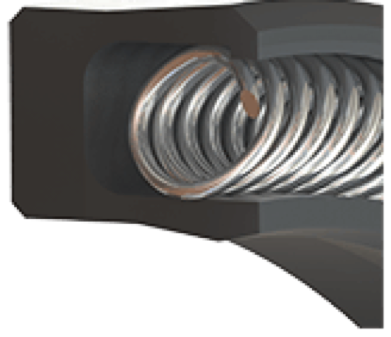 Canted coil springs are constructed from spring wire, formed into a circular and canted shape. The canted coil is unique in the sealing industry because of its broad, consistent loading curve. As an engineered loading device, canted coil springs display a very constant load over a large deflection range. 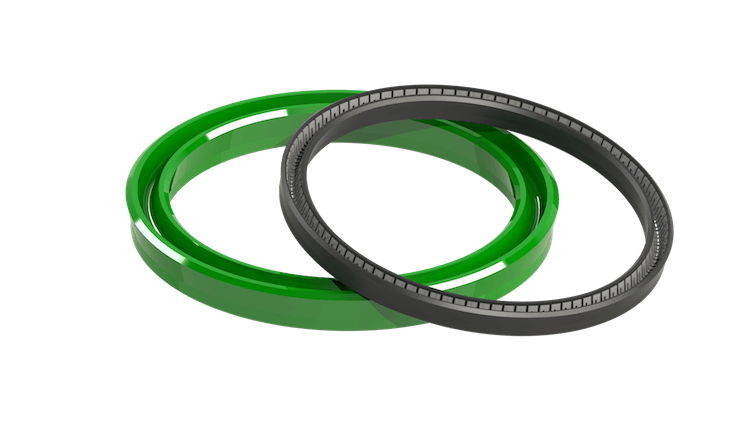 This feature allows Canted Coil Spring Seals to operate in friction sensitive applications. 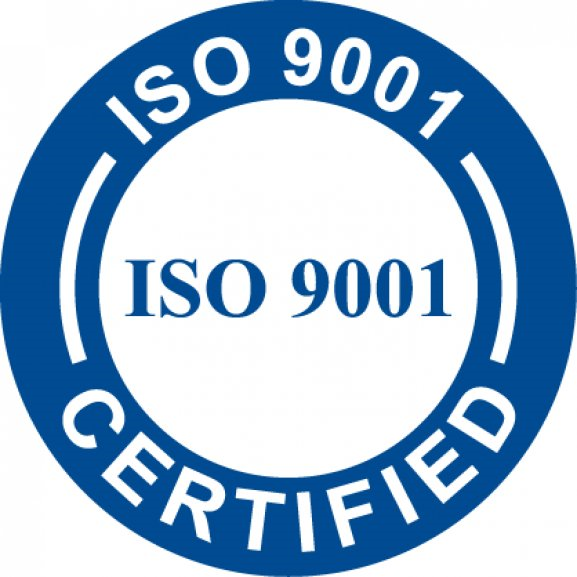 We stocks several sizes, materials and loads to optimize the seal for the application. 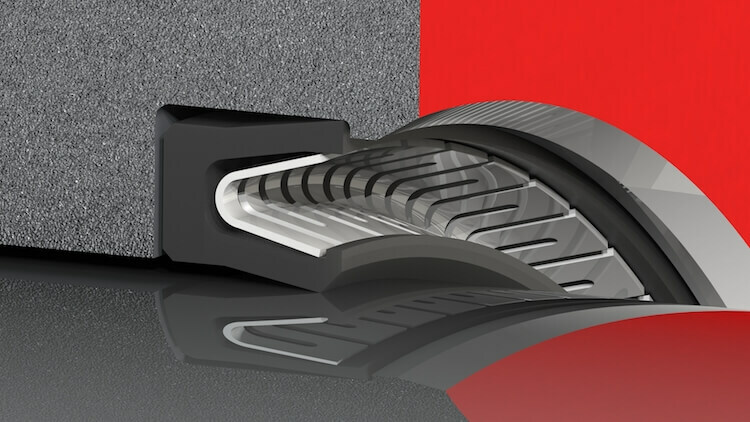 First choice for moderate to high speed rotary applications where optimizing sealing load is critical to maintain a seal over a long operating life. Can be designed to accommodate large hardware gaps, eccentricities and runout.